It appears Apple is clearing house in its Shazam media identification app, as the company in a February update removed 10 third-party SDKs from the title, leaving Microsoft's HockeyApp as the last outside integration left standing. As noted by AppFigures, Apple's most recent Shazam update stripped the app of SDKs from ad networks, analytics firms, open source projects and more. Specifically, Bolts, InMobi, IAS, Google's AdMob and DoubleClick, Facebook's Ads, Analytics and Login, Oracle's Moat, and Twitter's MoPub are no longer included in the iOS version of Shazam. Apple still offers support for Microsoft's HockeyApp, a beta testing and management service deployed through Azure. Why HockeyApp's status is being maintained in the most recent release is unknown. Similar SDKs were pulled from the Android version of Shazam, with AdColony, AdMob, Amazon Ads, Facebook Ads, Gimbal, Google IMA and MoPub all seeing removal. Interestingly, Apple is allowing Bolts, FB Analytics, Butter Knife, Crashlytics, Fabric, Firebase, Google Maps, OkHttp and Otto to remain functional Google's operating system. 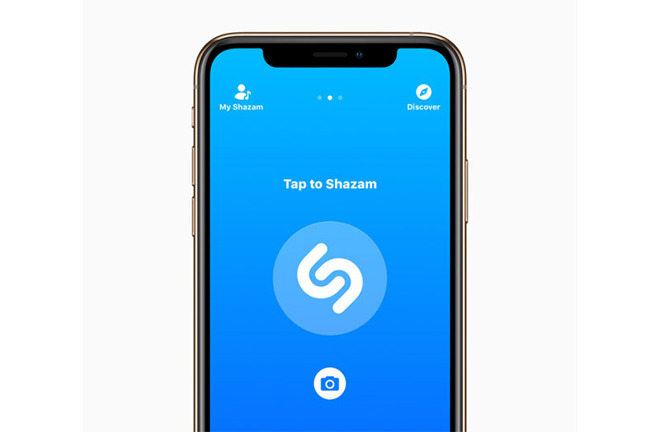 Apple issued the last update to Shazam on Feb. 15, with release notes listing undisclosed "bug fixes and performance improvements." The decision jibes with Apple's overarching code of conduct that places customer privacy at the core of its corporate values. Third-party SDKs like those listed above can in some cases gather and leak usage data. Company CEO Tim Cook has in recent months railed against so-called data brokers, going so far as to call on Congress to pass privacy legislation in a bid to better protect consumers. More recently, Apple flexed its muscle by revoking the enterprise certificates of Facebook and Google after investigations discovered the privilege was being abused to collect customer usage data. Internationally, however, Apple's efforts can only go so far. At the behest of Chinese and Russian regulatory agencies, Apple currently stores sensitive iCloud data on servers located in those countries, a practice some believe could open the door to snooping. The company has said the move is a requirement for maintaining iCloud and other cloud services, adding that its servers do not include backdoors. Apple announced intent to acquire Shazam in late 2017 and successfully navigated regulatory hurdles to close the $400 million deal last September. After coming into the Apple fold, Shazam became an ad-free service. This is such a good thing, and most users won't ever notice a difference. However if companies and pundits are curious why Apple can imbue seemingly irrational loyalty, stuff like this is the reason why. Could someone Explain like I’m five what the SDKs (Software Developer Kits) are doing or used for in the Shazam app? Edited: Software was Supplier. Thanks. I probably would have banned Microsoft's HockeyApp on principle. Could someone Explain like I’m five what the SDKs (Supplier Developer Kits) are doing or used for in the Shazam app? Software development kits (https://en.wikipedia.org/wiki/Software_development_kit) ? ; and I cannot. They’re used for serving ads and tracking users. Just like on websites. Wasn't the whole point of buying Shazam to lead its users to Apple Music and iTunes so they can spend money there? Shazam being ad-supported doesn't fit Apple's music strategy. The resulting increase in privacy is a nice side benefit though. HockeyApp dates back to the earliest days of the app store. Dev app sharing is referred to as "ad hoc distribution", and HockeyApp existed to make ad hoc key sharing easy. "ad hock key" == "hoc key app"
And it does integrate with Apple Music (and Spotify). It's been cleaned up quite a bit since they acquired it, I remember it being a lot more cluttered with ads etc before. Think of an app like a car. If you break down all of the parts which go into making a car, the engine, the wheels, etc, you'll find that not everything is made by the same manufacturer. The company which sells you the car has gone out and contracted other manufacturers to make some of the parts for them (which they then assemble into the entire car). An app is the same way. SDKs (software development kits) provided by other companies give app developers the "parts" they need to make a full app. What Apple has done is eliminated some of those parts (especially the advertising related ones) because they aren't needed anymore since Apple doesn't need to use advertising & data harvesting to fund the development of Shazam. This move is more innovative than anything else the competition serves. When someone asks" Why iPhone?" Tell them security and privacy are 2 features android will never copy. Also Shazam has cornered this market and I hope to see more TV integration.